Asian pear blossom. Copyright 2013 Robin L. Chandler. *References the 1993 album A Meeting By The River, a collaboration by Ry Cooder and Vishwa Mohan Bhatt; the album contains the song “Isa Lei,” the Fijian song of farewell that Ry Cooder learned playing with the renowned Hawaiian slack-key guitarist Gabby Pahinui. 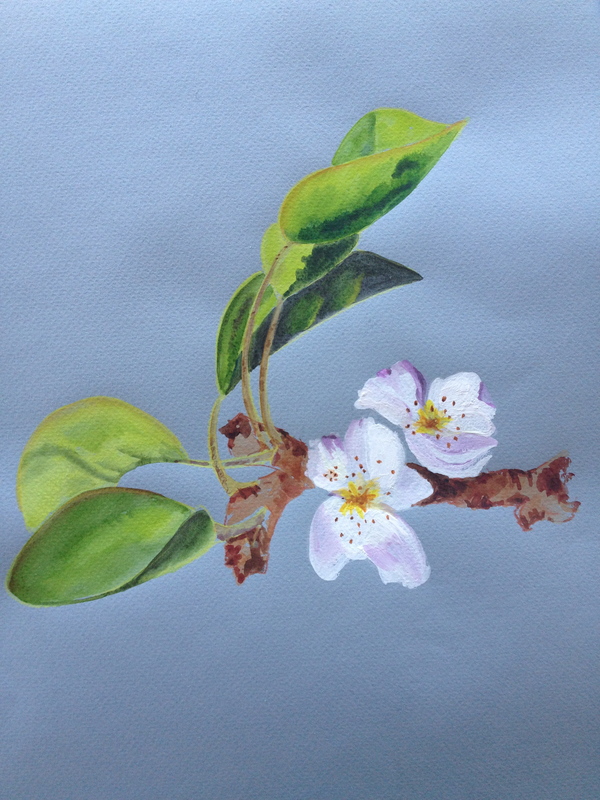 I’ve been listening to Meeting By the River many mornings here in Santa Cruz while watching the beautiful asian pear tree in the garden outside my window greet the Spring.